In just over 5 weeks Black Friday will be back: it will take place on November 23rd. It is a great opportunity not only for big corporations but also for smaller, local businesses. Whant to know more about it? 101€ of average spending for each shopper. Black Friday is an opportunity that you just can’t miss. According to recent data of the eCommerce B2C Observatory of Netcomm and Politecnico di Milano, in four days (between Black Friday and Cyber Monday) the value of online transactions in Italy will be of approx. 800 million Euro, with 3 times as many sales compared to any other day of the year. To gain as much as possible from the most important shopping event of the year, follow our tips. You won’t regret it! More and more consumers use their mobile devices to make comparisons and buy products. This is why social media networks have a key role in influencing the purchase decisions during the Black Friday period. You can start using your social media profiles right away to create awareness and trigger desires, and then to share your promotions in real time and offer a superb customer care service. After November 23rd, you will be able to extend specific offers on social media and use these channels to thank your clients. And always remember: to achieve as much as possible for your business during Black Friday, carrying out campaigns on Facebook and Instagram is key. Indeed, social media ads allow you to target your promotions and capture the attention of your desired target. In 2017, Italian consumers carried out 3% of their purchases online, for a total value of almost 600 million Euro. Inaugurating an e-Commerce is a great way to increase your sales not only during Black Friday but also for the rest of the year. What are the advantages of a store online? It allows you to increase your earnings and improve the management of your stock. Have you always been told that opening an e-Commerce is expensive and demanding? This is not the case anymore. Contact us to find out more. Send one or more newsletters regarding Black Friday and start right now. Take advantage of the fact that most of your competitor are still trying to figure out what to do and gain a head start in capturing the attention of your clients. Why should you turn to emails in addition to social media? It has been proven that newsletters are still one of the most effective tools to increase sales and broaden your audience. 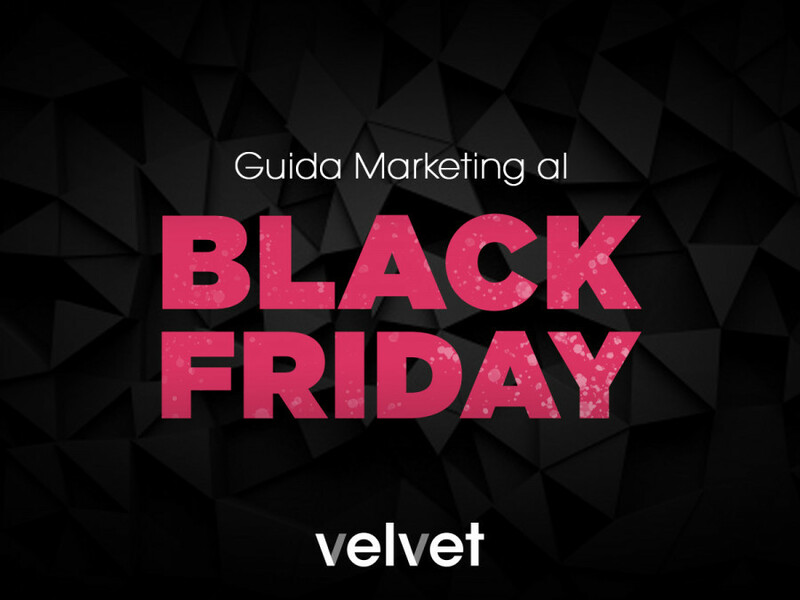 Remember to include an “Add this event to your calendar” section so your clients won’t miss your Black Friday promotions. To keep your clients longer in your store and to make sure that they are aware of your promotions, offer a free Wi-Fi service. As soon as people walk into your shop, they will be able to log on to your network and receive immediately a promotional message from you. In addition, this is a great way also to achieve their contact information, that you will be then able to use in the future. Use upselling and cross-selling to increase your sales. Combine 3-4 related products and offer the whole package to your clients with an additional discount. Always remember to use the urgency and shortage triggers: underline that there are only a few package deals and that they will be available only until midnight. To create even more anticipation and to make sure your clients will keep on passing by your store more than once– be it either in real life or online – organize flash sales at different moments of the day. Announce your deals through social media channels and by using banners online. Make sure to plan and program your posts and contents in advance: since you will be quite busy during the day, you won’t want to bother with this task as well during Black Friday. Would you like to gain as much as possible for your business during Black Friday 2018? Are your searching for a marketing strategy tailored for your products? Fill in the form and we will contact you within 24 hours for a free consultancy.